NC State ended a rough, three-game losing streak with a hard-fought victory in Pittsburgh over the Panthers. The Wolfpack now sits at 17-7 overall, 5-6 in ACC play, with Syracuse next coming to Raleigh on Wednesday. 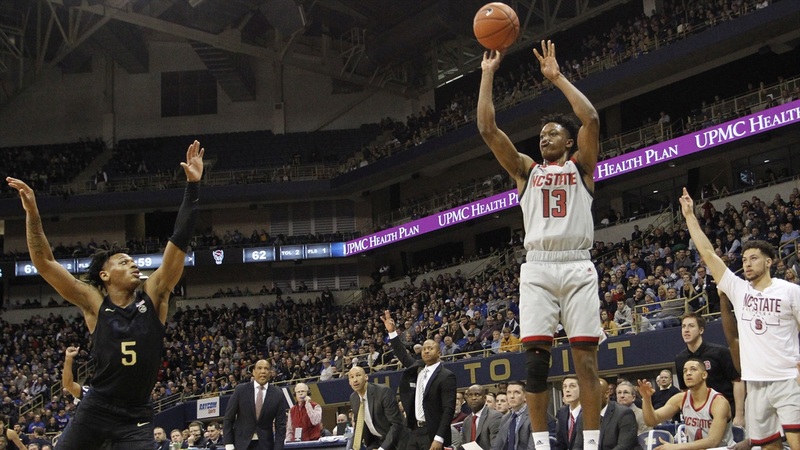 The Wolfpack made 14 of its 27 shots from behind the three-point arc (51.9 percent), but State’s threes started falling exceptionally well in the second half as the Pack hit eight of 13 (61.5 percent). Braxton Beverly went 3-for-5 from three in the latter half while Torin Dorn and C.